Readers will remember Tizen, the new mobile operating system which is being promoted by Samsung Corporation of South Korea. For the uninitiated Tizen is a open sourced OS based on Linux and is being flouted as the game changer in the world of Android and iOS. You can read my complete article on Tizen here. Now it seems Tizen couldn't have a better partner, Havok a developers who is publishing PROJECT ANARCHY, has announced plans to list the free to ship platforms on Tizen. Havok Vision Engine, the Havok Physics Engine, Havok AI and Havok Animation Studio. Project Anarchy is Havok's free C++-based mobile game engine. Havok, if you remember is the provider of core engines to many famous games like Halo 4, Assassin’s Creed III, The Elder Scrolls V: Skyrim, Guild Wars 2 and Call of Duty: Black Ops II. It is especially good in the physics oriented games space. 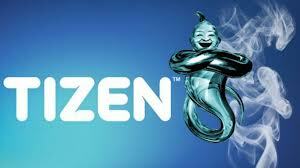 The Tizen platform is an open-source standard operating system which has support of Samsung and other manufacturers. Tizen, which was panned and rubbished by critics at the MWC 2013, will need all the support it can get from Havok. The two of them together could provide some exhilarating games to the mobile users of the kind they have never played before. Samsung has promised around 3 phones based on Tizen by the end of the year 2013, and if they have any of the Halo like games shipped with Tizen, it will surely be a good buy for users.